with air-conditioning and a television. 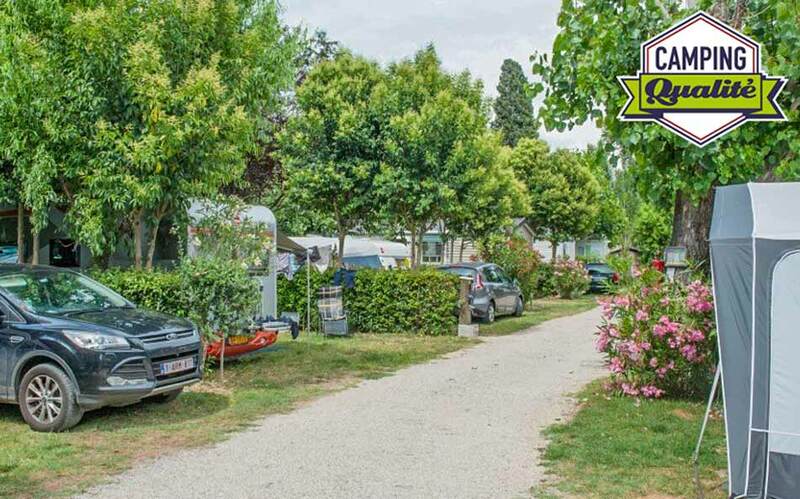 St-Gabriel campsite fits 47 pitches from about 80 to 130 square meters, bordered by natural hedges where your tent, touring caravan and campervan are welcome. Each pitch is WIFI covered (extra charge). 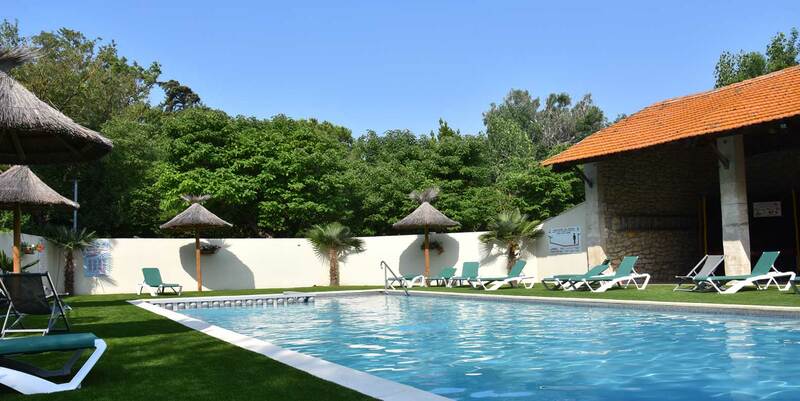 Treat yourself and relax by our 16x7m pool, open from Easter Holidays to the 30th of September. Our decking chairs are at your disposal to lie down in the shade of our parasols or make the best of the sun shining all day long over the pool. Along with the large pool, there is a children’s plash pool, so they can play in a safe environment under your supervision. On top of that, some fun fitness equipment and a large trampoline are at your disposal. The place to be on a hot summer day. The “Comfort” mobile-home air-conditioned, can accommodate up to 6 persons. 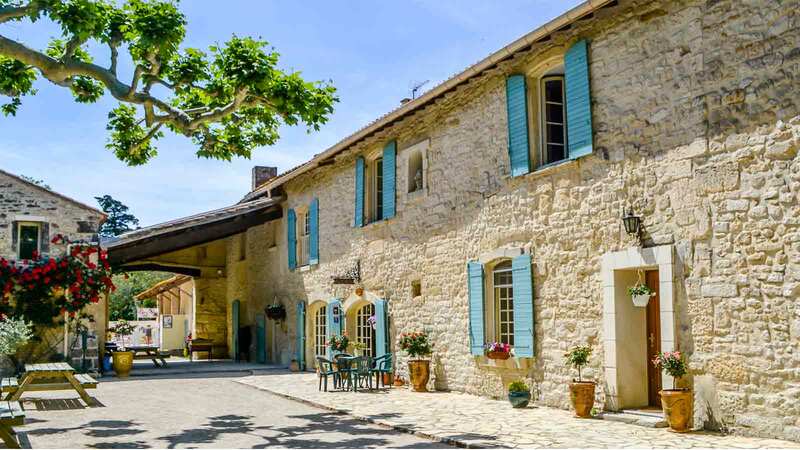 ACSI, ANWB and Camping Chèque special pitch package for 2. 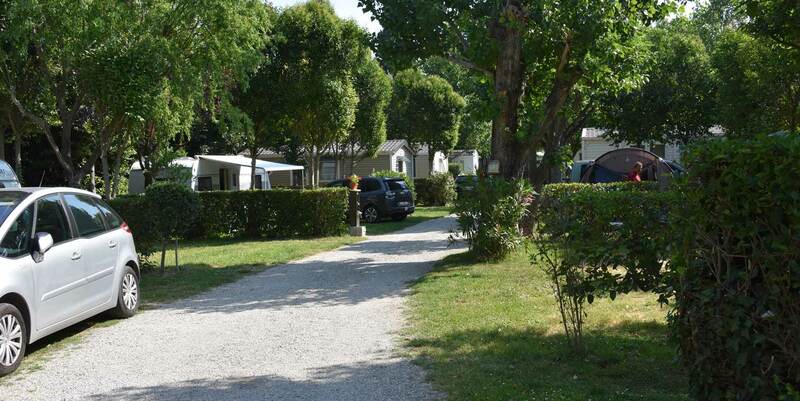 The campsite has 47 pitches that can accommodate tents, touring caravan and campervan, 10 “Comfort” Mobile-home with wooden terrace, T.V and aircon (4 to 6 persons). Prices and packages vary regarding the dates of the season chosen. 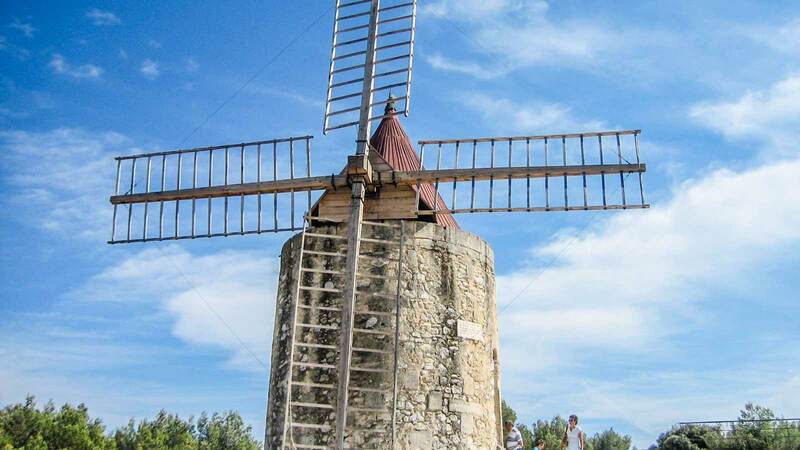 Come and discover our local traditions, architecture and unique heritage form our campsite situated in the Alpilles Regional Park and near the Camargue national park. 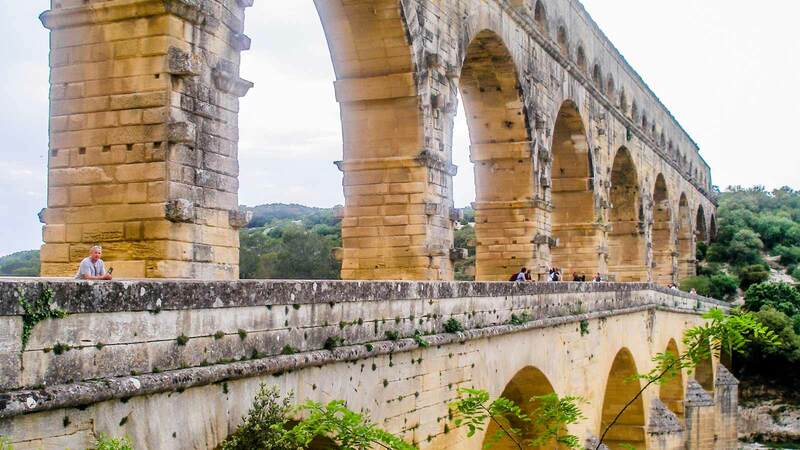 From our location you can access and visit roman ruins, historical monuments and the most beautiful Provencal villages. Very nice and welcoming owners! Very good shaded location separated by hedges, toilets and showers very clean. 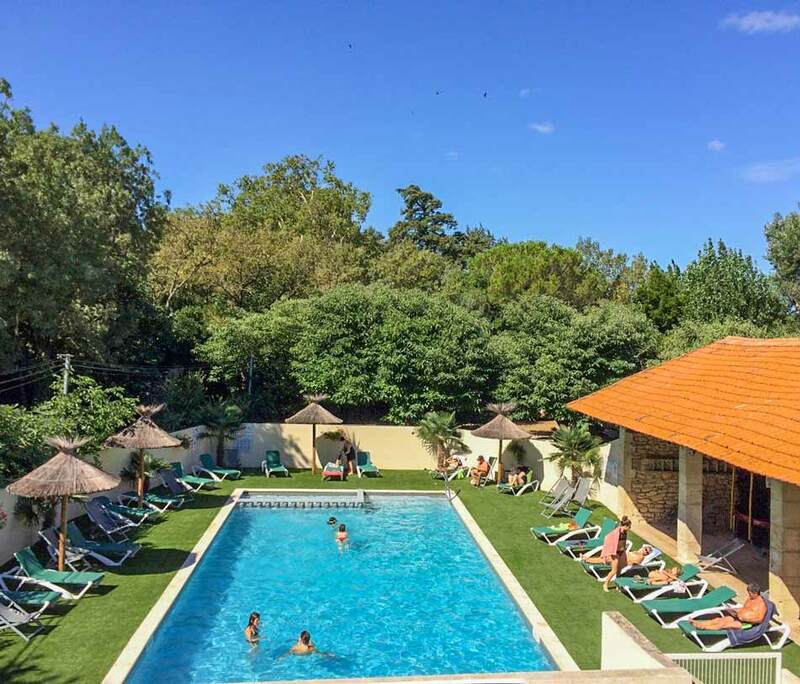 Many services are at our disposal: a very nice restaurant in the middle of the campsite, animations and a pizzeria that will offer you delicious homemade pizzas!